Kreegan's Astronomy Blog | It's Full of Stars!!! Note: This review comes after years of using this telescope. I sat down the other day, and thought to myself that my largest astronomical investment was such an amazing win. Here’s what led me to that realization! A few years ago, I had been considering pushing through into the realm of a larger aperture telescopes. 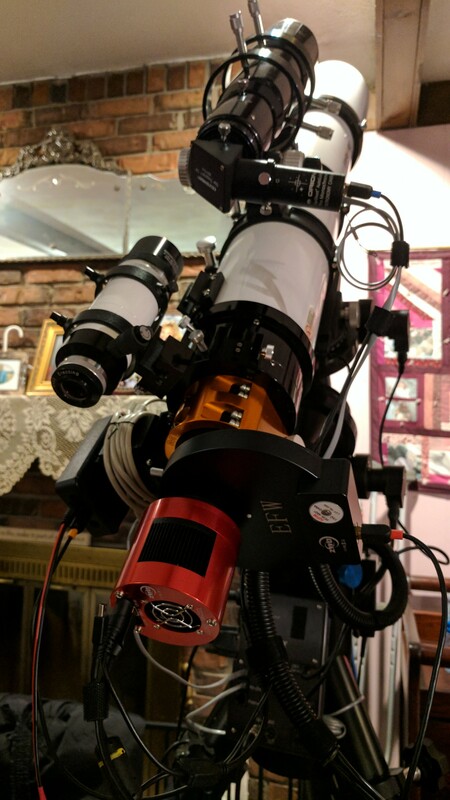 I was having an amazingly tough time finding a scope that didn’t just act as a fine astronomical instrument, but if I was going to spend that much money on a telescope, I was really looking for that “wow” factor. The scope must be easy to move around – move the scope with or without wheel barrel handles. The scope must support fast setup – from car to collimated in under 10 minutes. No ladders or steps – I’m not getting younger, and I’m only doing this once. Premium quality optics as part of the order. 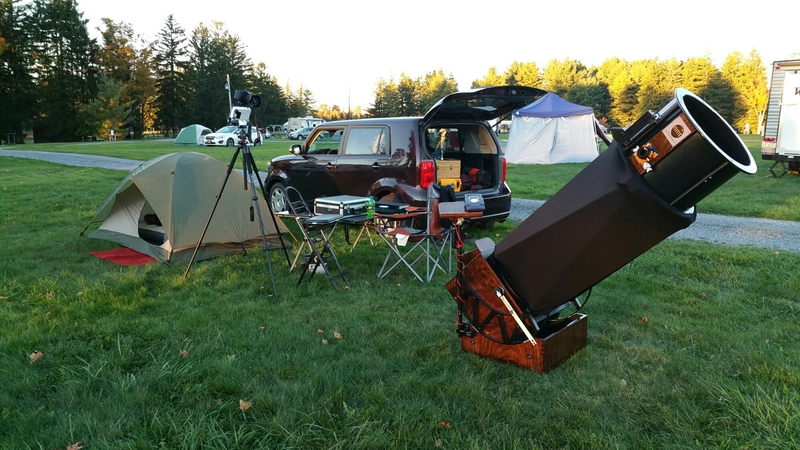 I had a few interactions with Ryan Goodson’s New Moon Telescopes in 2012 and 2013 through friends and at various astronomy events. 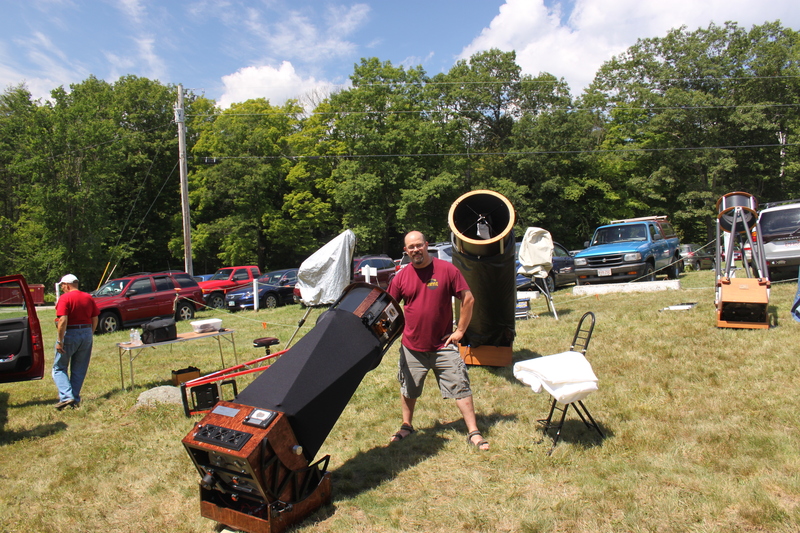 At the Cherry Springs Star Party, Ryan was setup next to me with a fresh build he was demonstrating to people. It was a beautiful, dark wood 16” f4.5. By the time he was done with the demonstration, I had found my “Wow!” scope. What a fantastic and innovative instrument. Ryan and I spent the next few months educating me on options, optics and varying design parameters. He was great. Ryan wasn’t hesitant to work with me, and put the extra effort into ensuring that I understood some of the decisions I had to make. He was very open to customizing the scope, and ensuring that I was happy with what I was going to buy. This was very encouraging. When I was ready, and my design was chosen, the order was placed with Ryan. This triggered the ordering of the mirror, and a schedule was set for the build. This review will drift into more of the technical aspects of the telescope, but I wanted to mention that the delivery date that was set, is the date that was met (by both mirror maker and Ryan). After the initial payment, Ryan jumped right in, and I started getting emails. Great communications every step of the way through the process. Mirror status, wood working status, etc. In the middle of my build, a new option was offered by New Moon Telescopes with their aluminum bearings. Ryan worked the first release of these bearings into my build (this was a fantastic addition by the way). 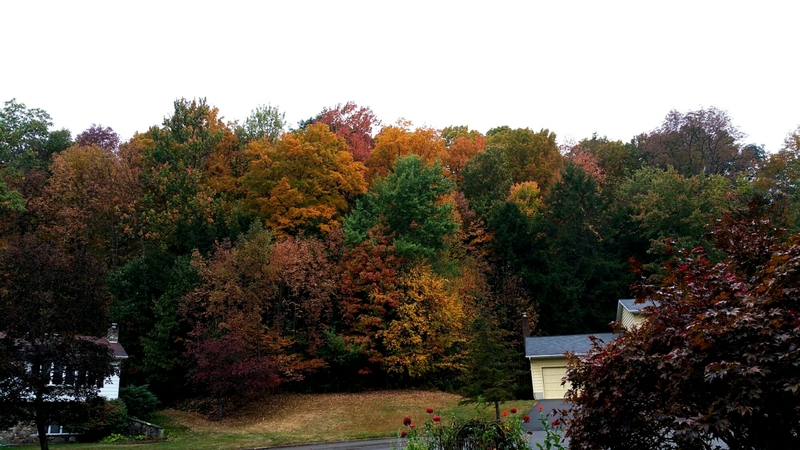 As my next-door neighbor puts it, “It looks like a premium piece of furniture.” He is right – amazing! From a quality perspective, only high quality components were used. From a construction perspective, high quality and solid are the right terms to use. All wood structures (high quality Baltic Birch) are connected using traditional cabinet like box joints which are very rigid and pleasing to the eye. I chose a darker red mahogany finish, and Ryan placed a superb topcoat that you could use as a mirror itself. Also, I had a weird request that Ryan was amazing at working with me on, and at the time it was a bit of a challenge. I wanted all the connection hardware and components to be black in color. As he always does, Ryan went above and beyond. The addition of the new black powder coated bearings in the middle of the build just makes the scope. I’ve had the scope for about three years now, and I still find myself admiring its beauty. I’m an avid collector of meteorites, and I really wanted to make that interest a part of this instrument. And this “off the menu” custom request went through a few iterations of design, and the result added greatly to the aesthetics of the scope. 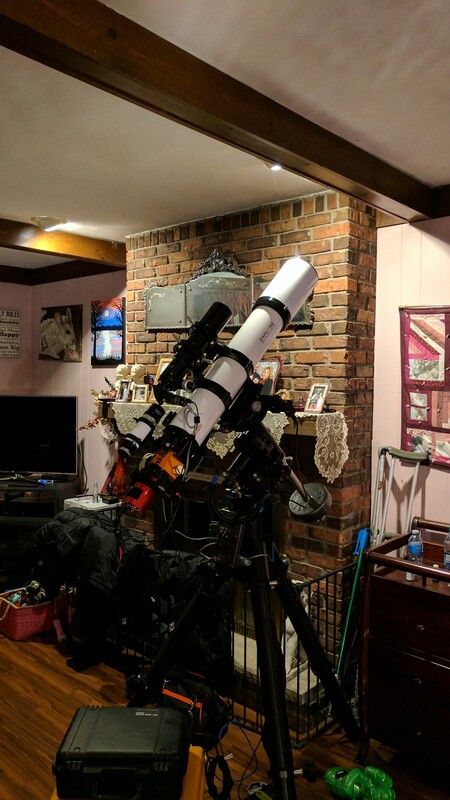 In three years of owning the scope, transporting it all over the Northeast, and easily logging 200+ hours of observing time, I have had no issues with the scope or any of its parts. I have had numerous hours of discussion with other amateur astronomers about the scope, and that is a wonderful consequence I had never even considered. So I’m up in the 1000 Islands area in upstate NY along the St. Lawrence River. The skies up this way are fantastic. 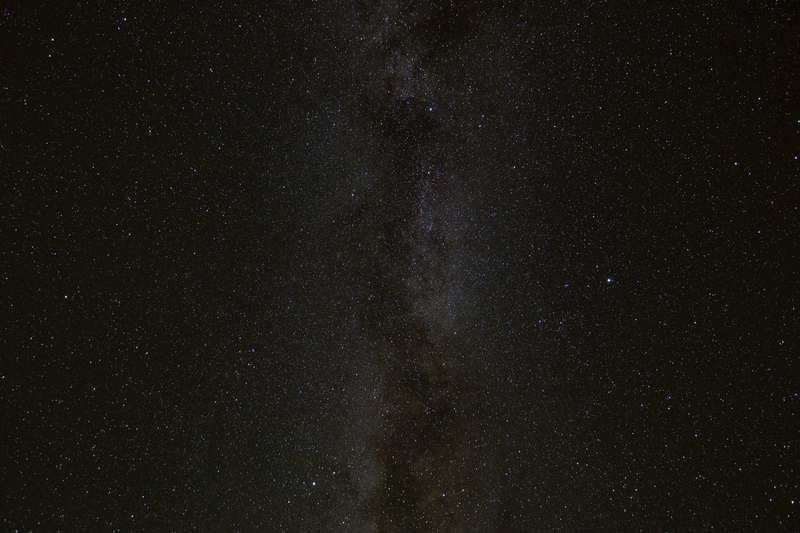 A wonderful family vacation, and I had just enough energy to sneak outside for some wide field astro-photography. 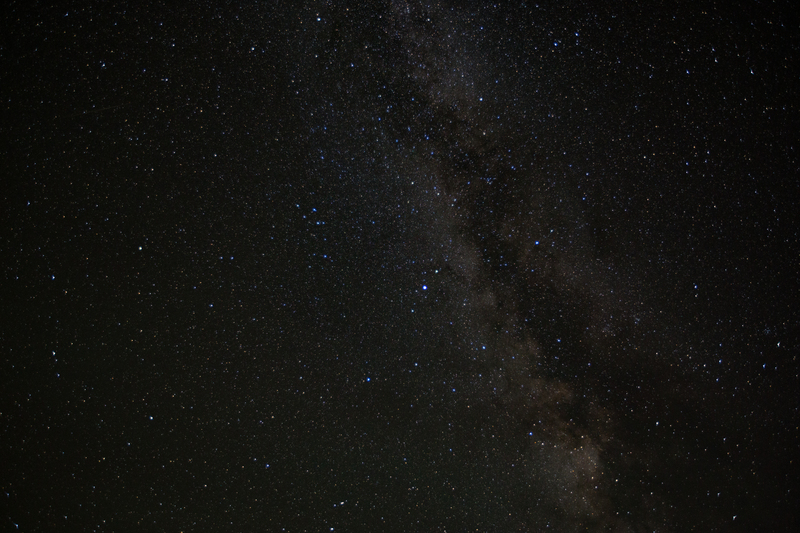 Long exposures of any kind get me excited, so with Vega up in the sky, I knew Milky Way shots were just around the corner. 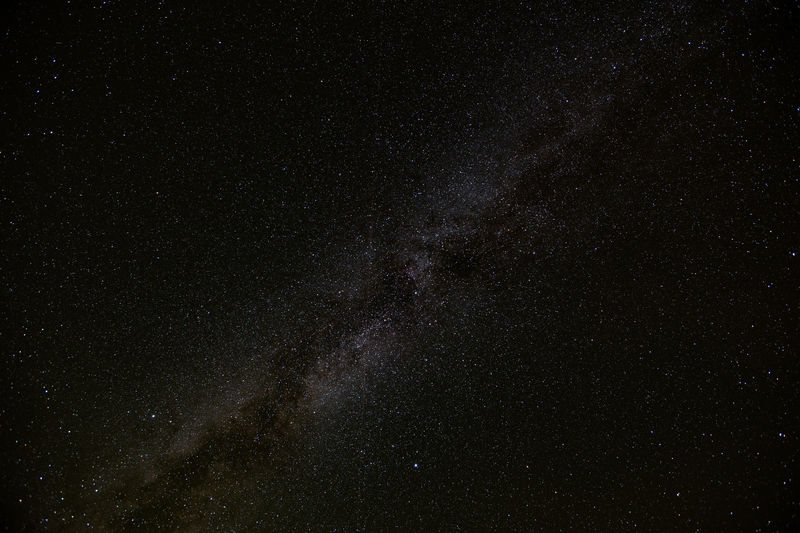 That became my mission some wonderful wide field Milky Way Galaxy shots. So outside I go, and set up my gear. Camera tripod, iOptron SkyTraccker and my Canon 6D. I get the rig polar aligned, and I have an excellent track going on 3 minutes. 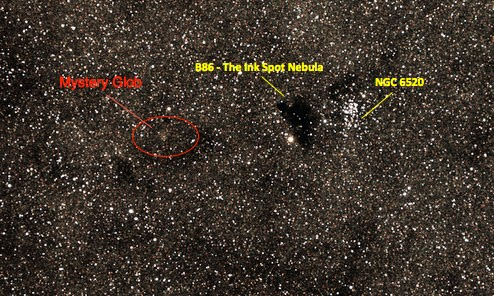 Time to target the Milky Way Galaxy area of the sky. 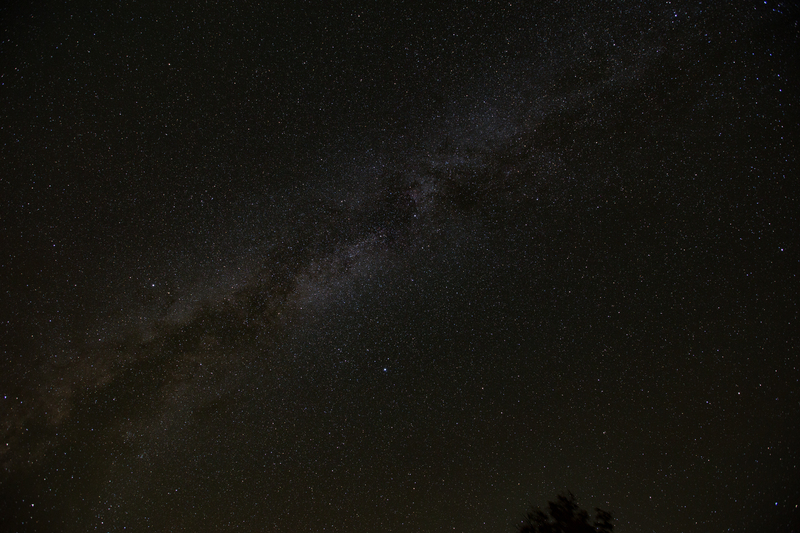 “Let that 3 minute exposure rip, and see what you get,” I tell myself. # minutes later… what the heck? Where is all this red light coming from? Oh that is so irritating. I go looking around for a possible light source that is messing up my images. No luck….no light source. I quietly whine to myself. Then the shot that tipped me off to the next three hours came up. Hey…I know that green color. 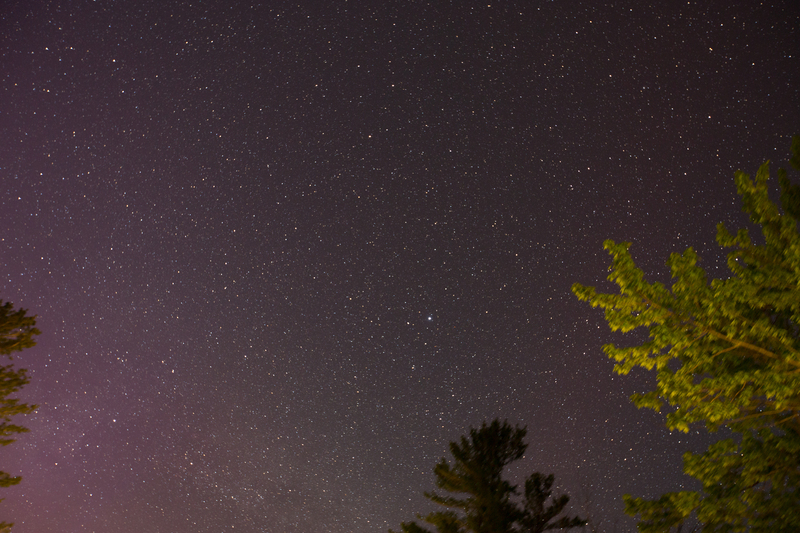 That only occurs in fishing lures and … … Auroras. 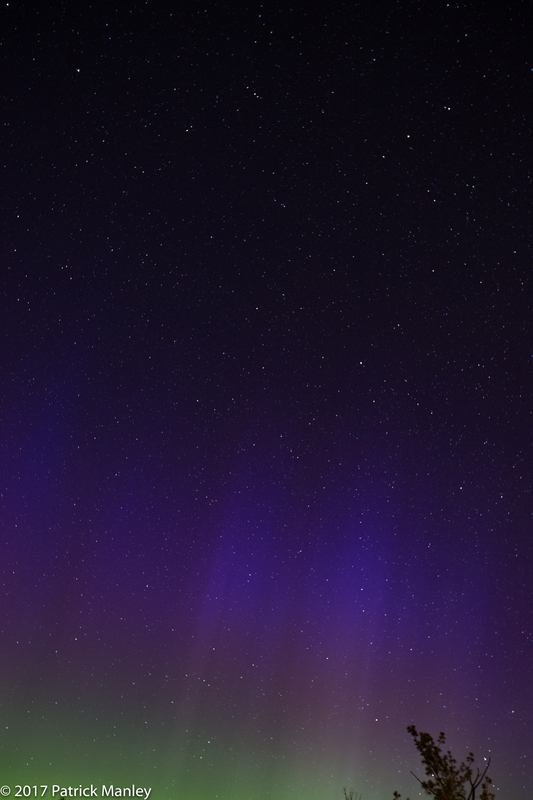 Squeals like a school girl… “Dang, I’ve got me some Aurora coming up,” I tell myself. Wow I had no idea. Not much more to say. Check out the photos for yourself. It just goes to show, Always get out there, and always have your gear with you! 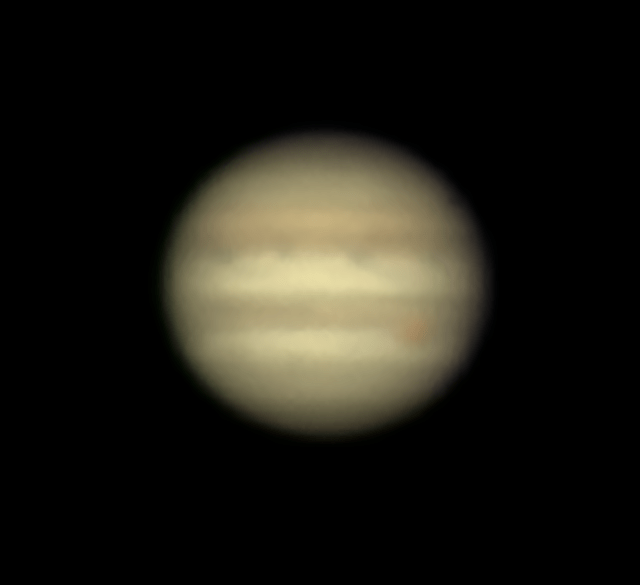 Spent some time with my Jupiter data from last night. Let me know if you want my camera settings and I can send them to you. Ha! So here’s a new rule I just learned. I was looking at one of my images, and there was a close moon that showed up. Wow I thought this was cool (see attached image). I wonder what moon that is… Go to the S&T Jupiter Moons calculator… Hey that’s Europa. 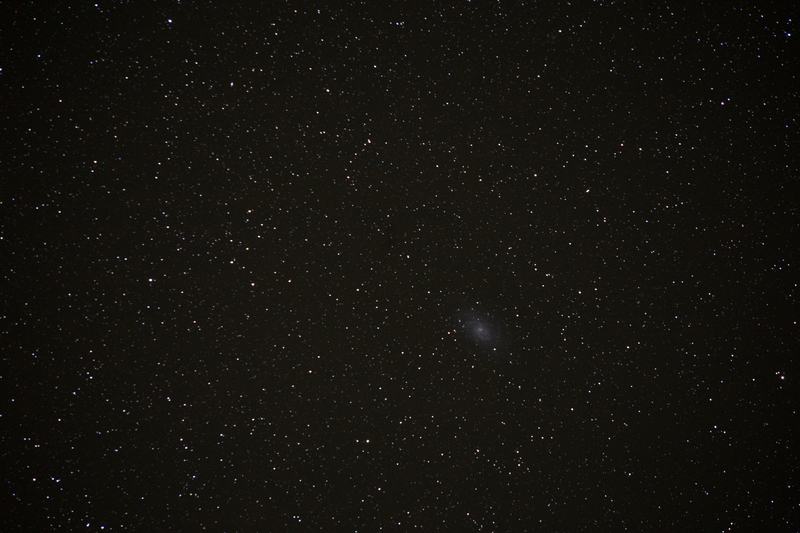 Neat…wow I just missed a transit … hmm look at my second attached image. 04:18 UT, Europa begins transit of Jupiter. 05:04 UT, Europa’s shadow begins to cross Jupiter. NOTE: I haven’t corrected my Image orientation yet. So “emerging” things are to the right of Jupiter instead of to the left – they should be to the left. 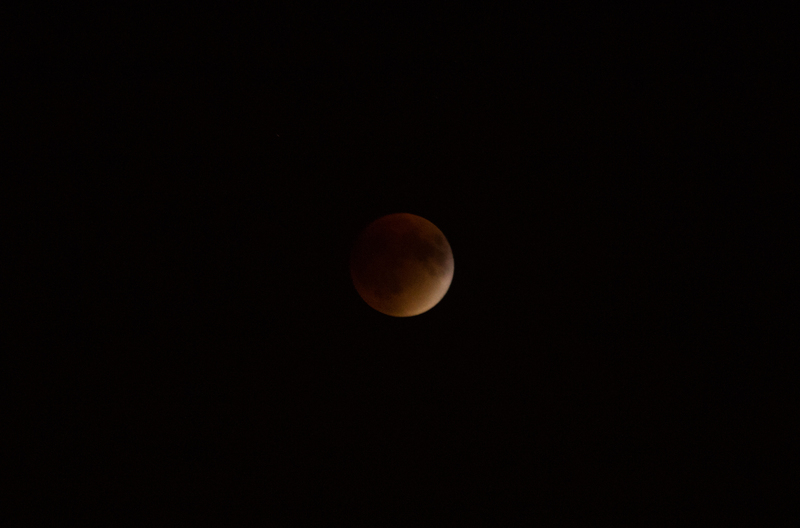 If you look real close – at about 1:04 AM local time I started my LAST capture for the night. Yep you can see the start of the Europa Eclipse there…lol! So beyond my improving imaging capabilities – know your planetary schedule…dang…I could have had all sorts of Europa Eclipse Action going on there…gees…. Lots to learn here – very fun! Finally, after about 10 years of buying gear… I’ve completed my newbie imaging rig. Here’s the details of my platform. I have this all configured and working ( mostly through ASCOM) in TheSkyX Pro, and everything is integrated now running through my Surface Book. OK a week later, I’m done licking my wounds, BUT I TRIED! So I was on my way home from family vacation, and I was all ready to go. I had my camera, I had my cool lenses, I had my tripod, and I couldn’t find the little piece that mates the camera to the tripod. Darn it! Many folks may not realize it, but a tripod is a must for astro-imaging of any kind – especially dark stuff like a lunar eclipse. SO here was my best. Using the side of a hotel as stabilization with the shutter release in my mouth and an ISO of 4000. Well 10 years ago I would have been a god. The price for this one, the hotel lobby lady was really getting whigged out over my strange behavior and language. About 40 exposures and then I threw my arms up in the air. There’s just nothing like a good tripod (or even a bad one!). It’s not half bad, BUT it could have been sooo much more! Wow when we left for vacation this was all green. What a pretty sight to come home to. 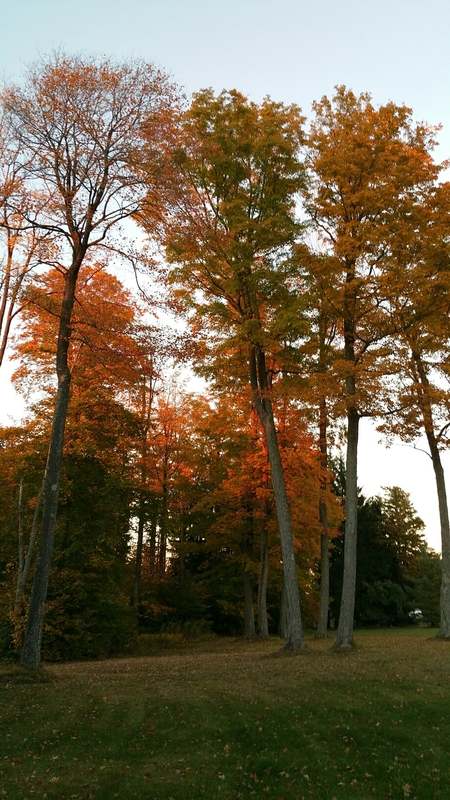 What an amazingly beautiful time of year. What a great weekend at Stellafane 2014. 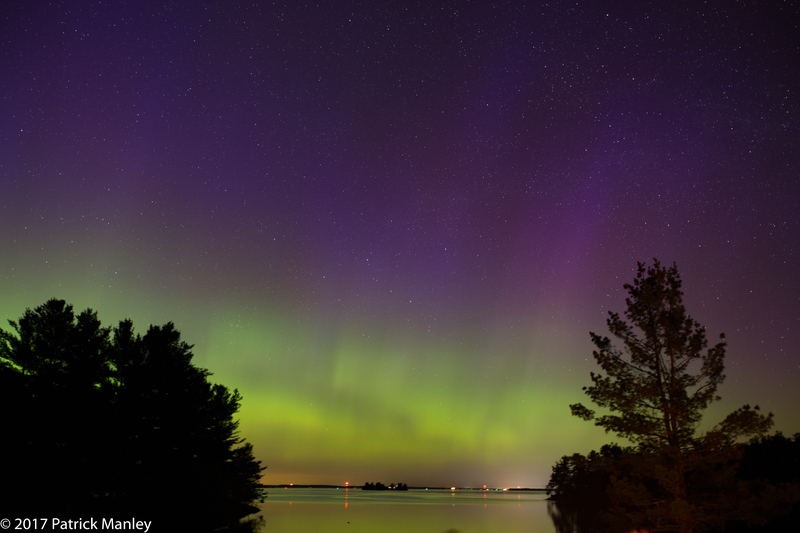 Just four weeks before, I attended a fantastic Cherry Springs Star Party, and was fortunate enough to get 3 solid nights of observing put in. The forecast for this year’s Stellafane really looked morbid one week before the convention. It looked like a crockpot of humidity during the days, and then wet rain at night. Luckily as the calendar approached, that weather forecast improved infinitely. 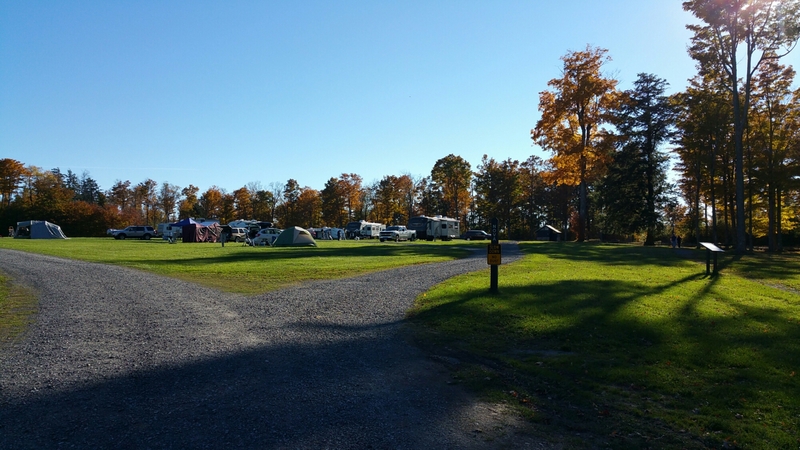 I arrived with most of my group early on Thursday, and the weather was mostly pleasant. Upon arriving at 3:20 or so, I immediately picked out my spot for my scope, and began unpacking the car. Two hours later, my 16” Dob was mostly assembled, my tent was up, and everything mostly settled in. 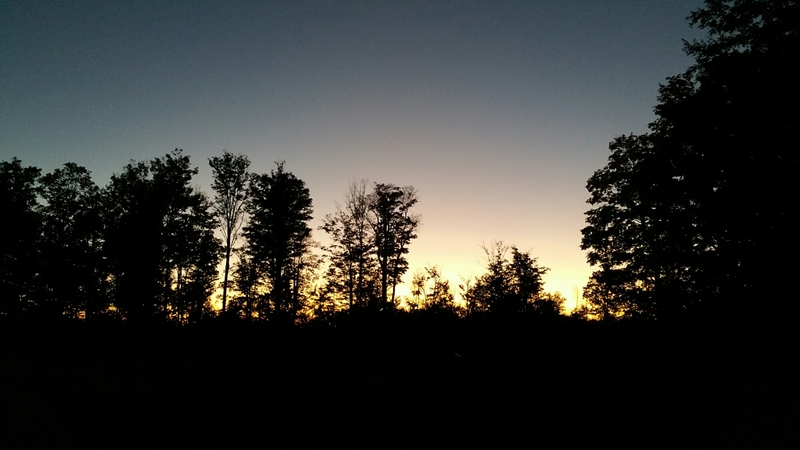 One thing I can say about going to a star party – BE ORGANIZED. It makes a huge difference, and gets you to that Zen like state much faster. 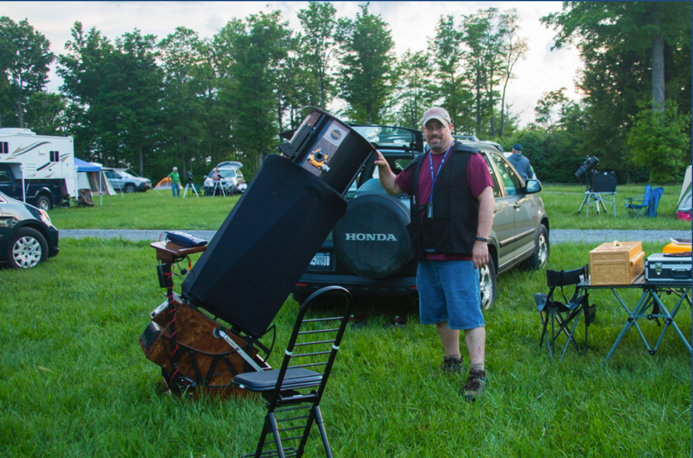 Standing with my 16″ f/4 New Moon Telescope. A fantastic Dob, and the best gear I have ever purchased! The small tent city we were setup in. 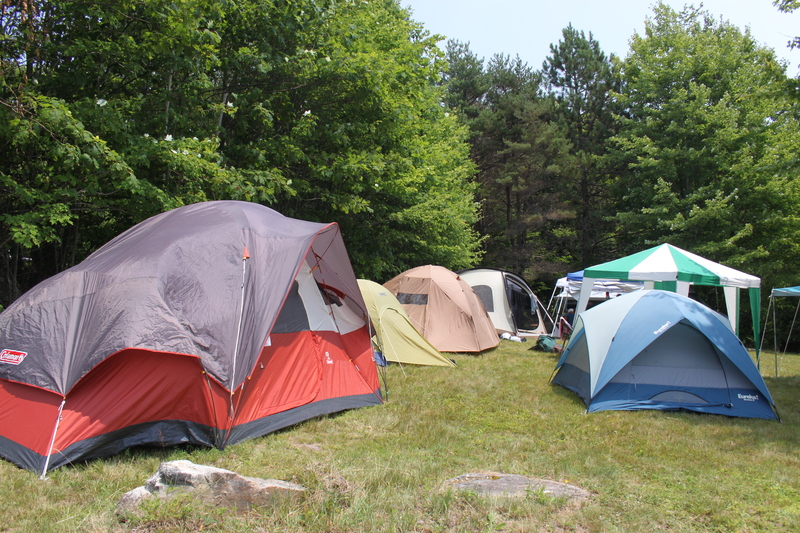 My tent is the brown tent, third one in on left side. Here’s a quick video showing a time lapse of me and my neighbors getting ready for a night of observing. 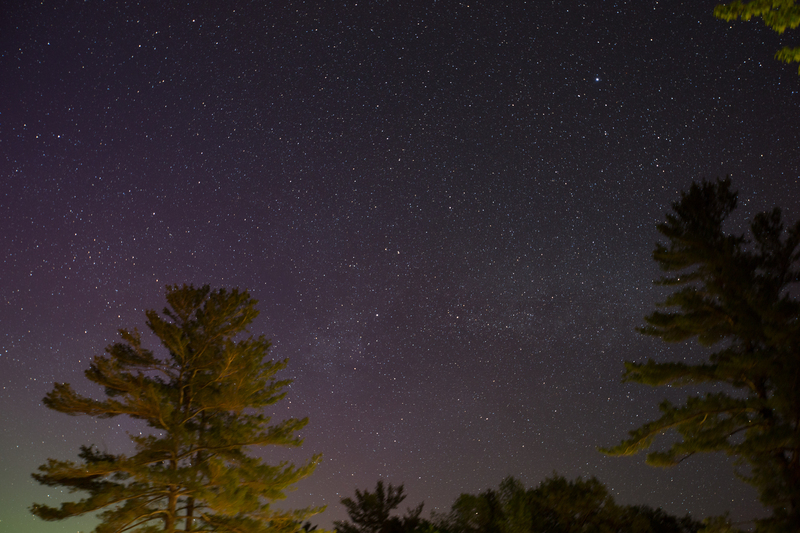 Of course the best thing about Stellafane is that it isn’t really intended to be a serious star party. There will be headlights, there will be lots of noise, there will be parties here and there. So it is a very casual and fun environment defined by the jolly go lucky attendees that decide to come. 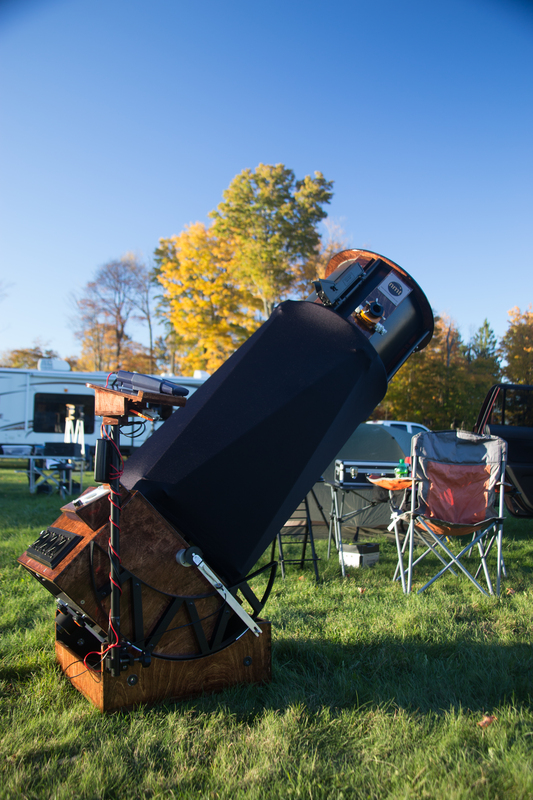 While observing is a big part of the event, having a relaxing time enjoying the company of amateur astronomers and telescope makers is really the focus. This winter has been fairly tough on the amateur astronomers of upstate-NY. It has been cold, and I mean the “near dangerous to be observing” kind of cold. With that in mind, not much of my gear has been used this year. 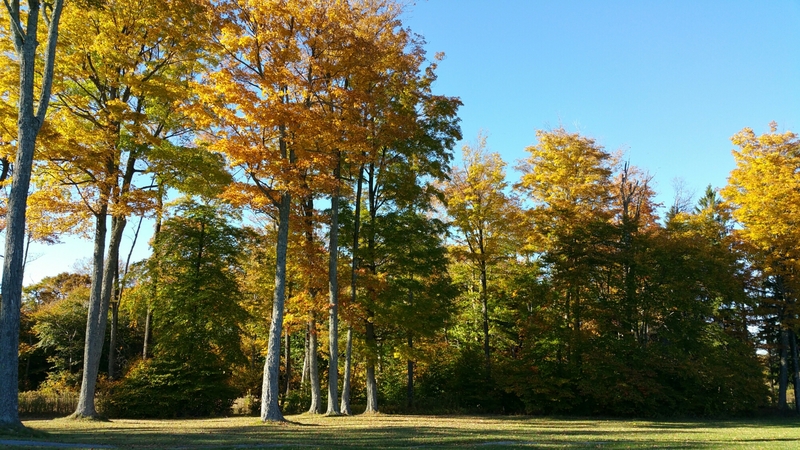 It was so nice to just get out there in tolerable temperatures, and to get some fresh air out in nature. I just grabbed my grab and go rig, and setup. 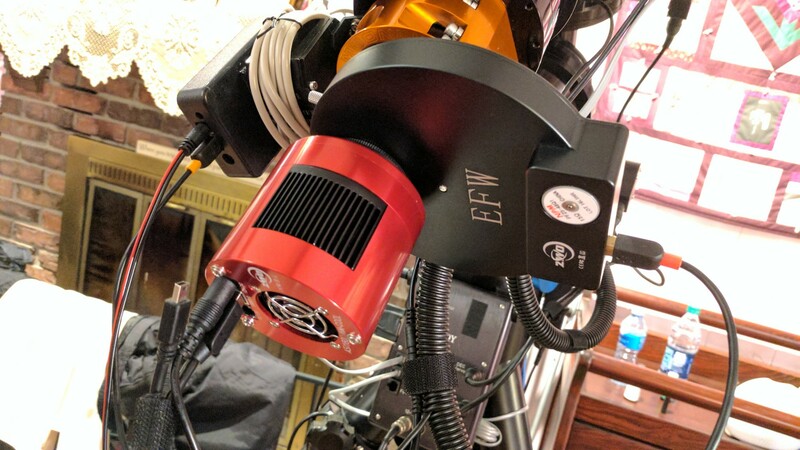 A 5” Explore Scientific Triplet Refractor on a Vixen Porta-Mount. The scope is a bit too heavy to get a great balance on the mount, but it just barely works for a quick setup. A really amazing two hours of observing tonight. Nice to not have it be horrifically cold out there. Soon the sessions can be longer as the spring nights warm up! 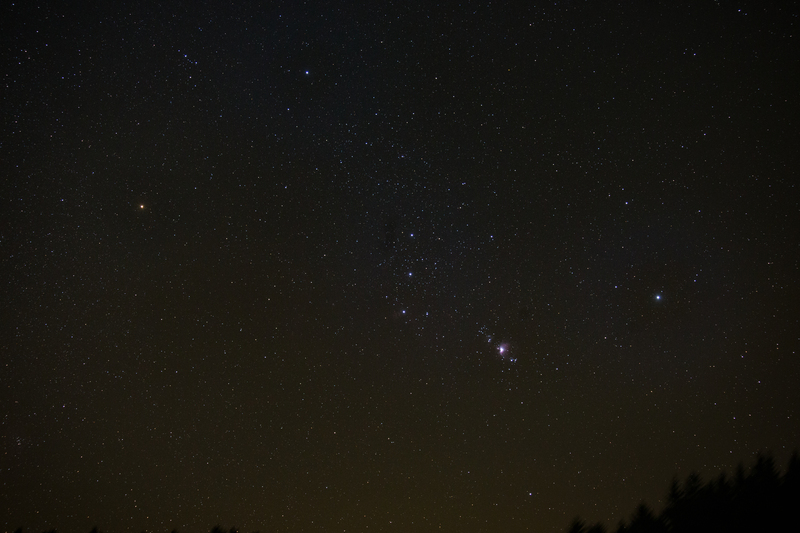 So tonight I spent a good amount of time hopping around the constellation Orion, and lots of time on the Orion Nebula. A really amazing view using the Lumicon OIII filter attached to a Televue 6” Delos eyepiece. 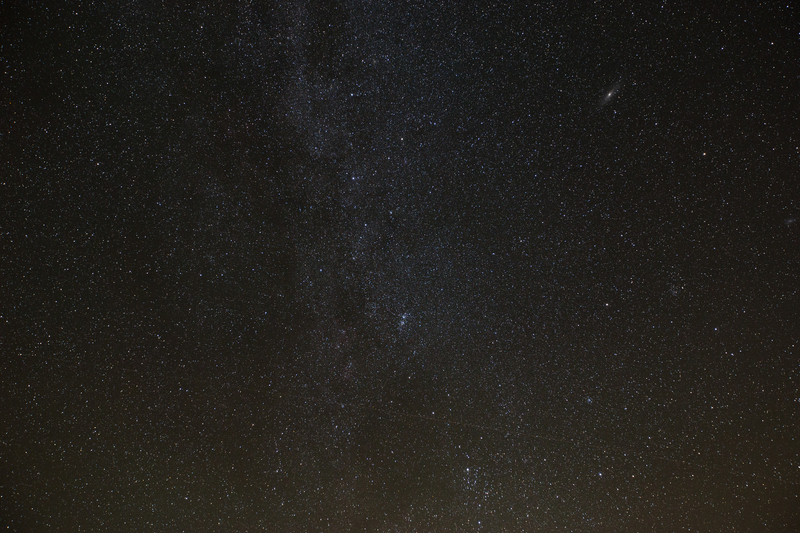 There were lots of wispy, nebulous features to be seen tonight. I then shifted over to the Pleiades, it was close to the moon, so there were no detections of nebulosity there, but still great to observe Atlantia as it hit just above the tree line. Then panned and scanned through the constellation Auriga, admiring many of the brightly colored stars in its open star clusters. For a change I spent a good amount of time on the moon. The seeing was very stable, and I was able to push a lot of magnification on the craters there. The quarter moon terminator ran just perfect to really show off the 3-D nature of the many interesting and diverse craters. Not being a student of the moon, I can’t name all that I saw tonight, but there were many interesting features that almost lead me to spend some time learning all the craters I was looking at tonight. 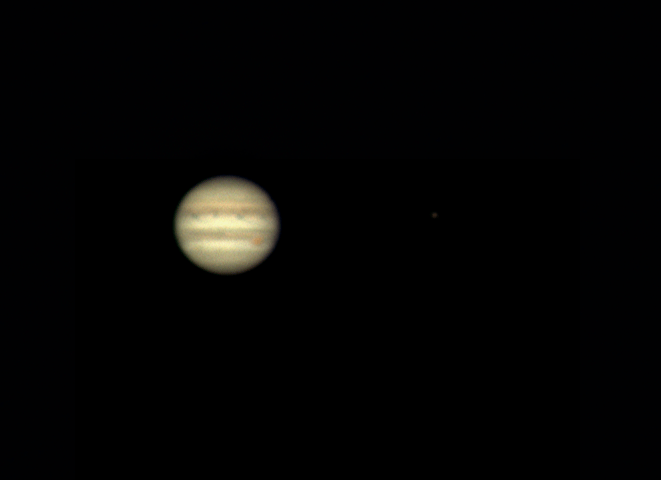 After taking a warm-up break, I went back out and brought Jupiter into view. 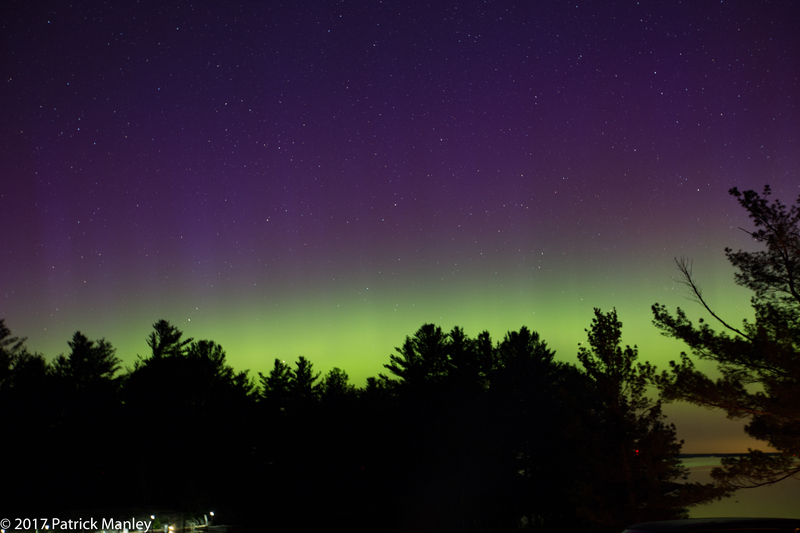 Wow, was the seeing really great tonight, which is not common for upstate NY. 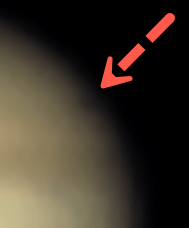 I was able to push a 4.7mm eyepiece with perfect clarity on the Jovian giant. I was delighted to see the Great Red Spot just to the side of center. At first I saw three moons: Ganymede, Europa, and Callisto. I admired the the Great Red Spot and the detailed features of the stripes, wisps and shadows in the gassy atmosphere. I had thought IO was behind the planet, and then I thought I saw it birth. 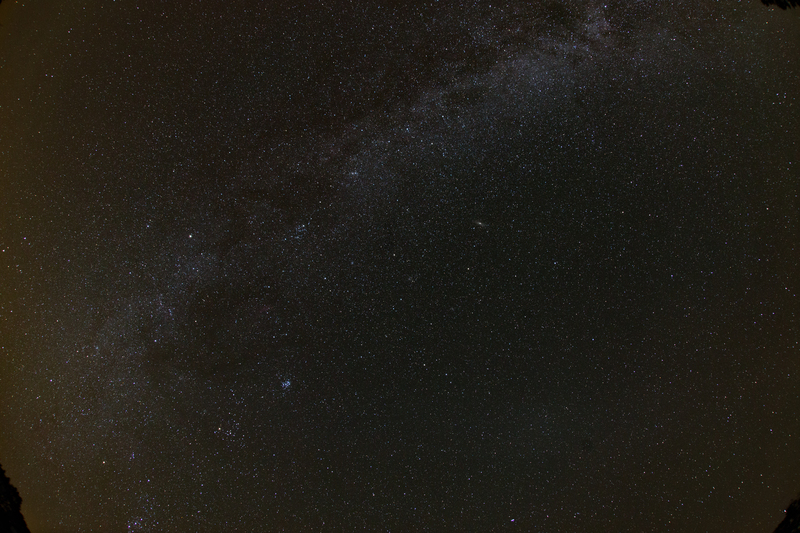 All of a sudden there it was…just barely visible off the disc of Jupiter. Then the thought occurred to me, hey maybe it was in front of the great gas giant. I immediately looked back into the eyepiece, and sure enough, there was IO’s shadow hanging just above the Great Red Spot. Wow! Such detail tonight using a refractor – really makes me wish we had steadier skies every night here in the Northeast US. Now reflect on this: Yesterday, millions of American went out into the world to go shopping on Black Friday. Probably 92.7% of all goods purchased were manufactured in China. That’s right folks, we are the ones funding efforts like this. It just seems to be our culture to pay someone else to do things for us…why not pay the Chinese to do our space program for us? I mean after all they stock up Walmart, and they get a space program…seems fair? 😐 Most things, cost way less in the long run if you do them yourself. The power gain for getting a foothold in space is a price we are going to regret in the future, if we give it up. Now don’t get me wrong, I wish no ill will toward the Chinese space program, I think what they have accomplished in the past 20 years is staggering. Much of the technology was likely “imported,” to get them started, but so was ours back in the WWII days. I think it’s impressive the premium and priority their culture is placing on a space program. However, I’m fairly disappointed in the directions the American space program has taken over the past 30 – 40 years. I believe we are starting to get on a decent path forward again, assuming our economics and declining culture will support it. But this new path will only work if our economics and culture place a premium on it. These next adventures into space could easily be the beginnings of the United States’ next epic journey which defines our future and ushers in a new golden age. However, that won’t be the case if we aren’t the ones willing to step forward. But don’t fret, we can easily watch the Chinese do it on our behalf (on TV’s they made for us).